The University of Wisconsin–Madison is among 27 universities selected as hosts for the Mandela Washington Fellowship in summer 2019. The Mandela Washington Fellowship for Young African Leaders, begun in 2014, is the flagship program of the Young African Leaders Initiative (YALI). The 2019 Mandela Washington Fellowship (MWF) brings 700 leaders from sub-Saharan Africa to US universities for academic discussion, leadership training, and community engagement. For the fourth year in a row, Fellows at UW-Madison will have the opportunity to participate in a public management leadership institute, learning from Wisconsin’s accredited scholars and professionals as well as participating in various site visits featuring government entities, non-profits, businesses and other organizations around the state. The Fellows, who are between the ages of 25 and 35, have established records of accomplishment in promoting innovation and positive change in their organizations, institutions, communities, and countries. According the to U.S. State Department, Fellows represented all 49 countries in Sub-Saharan Africa in 2018, fifty percent were women, 44 percent owned a small business, and 41 percent operated a non-profit organization. Coming soon! Fellow biographies are expected to be released in late spring. Interested in hosting 1-2 Fellows at your local business, organization, or center? Mandela Fellows are eager to engage with American professionals and often enthusiastic about presenting on their personal or professional experience. If this opportunity is of interest, please complete this brief interest survey or contact Meagan Doll at medoll@wisc.edu. The African Studies Program seeks families or individuals interested in hosting 1-2 Fellows for family host dinners throughout the six-week institute. If interested, please indicate your availability here and our staff will follow-up to confirm. The African Studies Program seeks a Local Resource Guide to provide cultural adaptation guidance to Fellows for the duration of the six-week Institute. This work may include guidance mediating cross-cultural challenges, navigating the American medical system and accessing various other local resources. LOCAL RESOURCE GUIDE POSITION DESCRIPTION (pdf) Deadline: Applications to open mid-spring 2019. Community partners include local organizations who are willing to share their work with the Fellows, both through education and discussion, as well as experiential learning and service. The purpose of these visits is not only to serve and network, but also to expose Fellows to the inner-workings of American organizations and workplaces. The African Studies Program is seeking volunteers to help the Fellows with small trips such as shopping for personal needs, attending religious services, or exploring Madison and surrounding areas. If you would be interested in providing transportation and spending a short block of time with a Fellow or two, please contact Meagan Doll at medoll@wisc.edu. 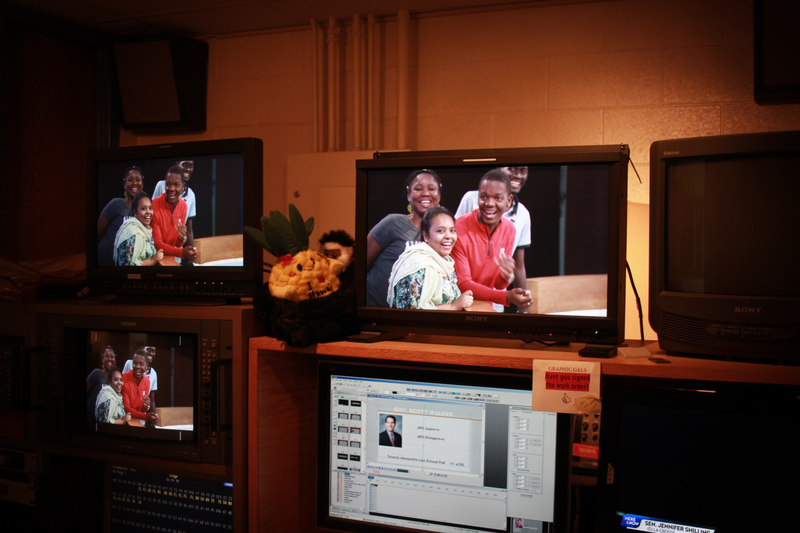 The Mandela Washington Fellowship is made possible only by the support of many partners, both on and off-campus. Mandela Fellows at UW-Madison periodically share their experiences on campus and in the community, as well as what they are working on or have learned since returning home. Check out the latest blog posts here. “2018 Mandela Washington Fellows bring global expertise to UW campus,” African Studies Program, 06/21/2018. “UW-Madison to host third cohort of young African leaders in summer 2018,” African Studies Program, 02/19/2018. 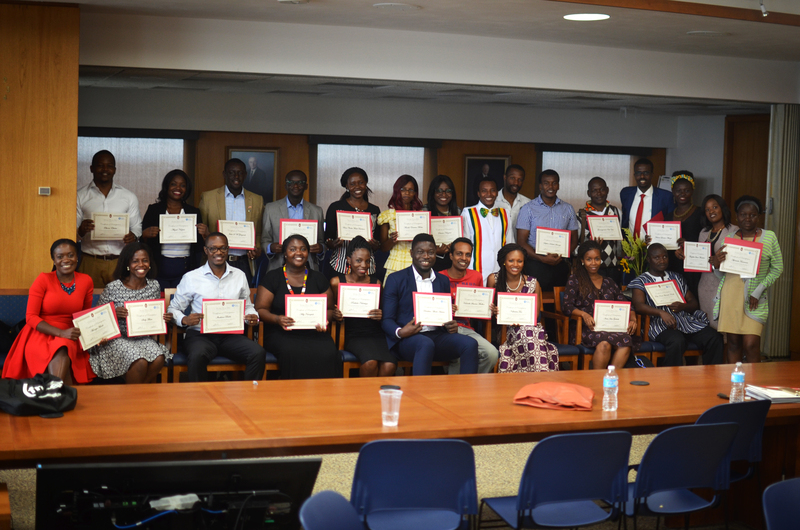 “African professionals, activists among 2017 Mandela Washington Fellows at UW-Madison,” University of Wisconsin-Madison News, 06/12/2017. “UW-Madison selected to host young African leaders in summer 2017,” UW-Madison International Division News, 02/17/2016. 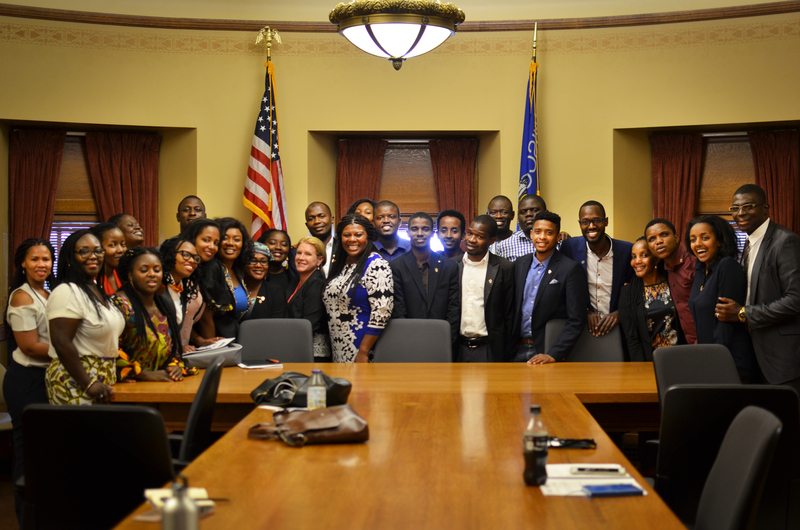 “UW Campus Hosts 25 Young African Leaders,” UW-Madison International Division News, 6/17/2016. “A multicultural experience at Gigi’s Playhouse Madison,” Gigi’s Playhouse-Madison, 8/01/2018. “Mandela Fellows Reflect on Partnering with Madison’s Community Organizations,” UW-Madison African Studies Program, 8/01/2018. 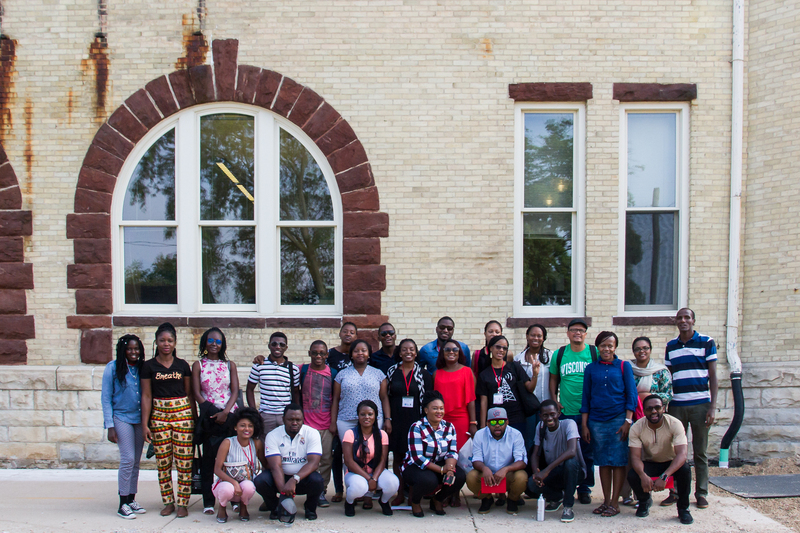 “UW-Madison Mandela Washington Fellows Learn While Giving Back To The Community,” Wisconsin Public Radio, 7/26/2018. “First Impressions,” UW-Madison African Studies Program, 7/09/2018. “Young leaders from Africa visit Columbus through UW-Madison African Studies Program,” Columbus Journal, 7/06/2018. “IIP, Mandela Washington Fellowship Collaboration Provides Students Professional Experiences in Africa,” UW-Madison African Studies Program, 2/12/2018. “Young African Leaders Speak Out,” Global Health Institute, 6/1/2018. “Presidential Visit Sparks Conservation Discussions,” UW-Madison International Division, 8/3/2017. “Botswana president receives Global Citizen Award,” UW-Madison News, 7/31/2017. “One Health idea gives Young African fellows new ways to promote health,” Global Health Institute, 7/26/2017. “Mandela Fellows visit Columbus,” Columbus Journal, 7/13/2017. “Ambassador Linda-Thomas Greenfield Calls Mandela Washington Fellows ‘Africa’s Future,'” UW-Madison International Division, 6/29/2017. “UW Health nurse receives first-ever Nelson Mandela Fellowship (Reciprocol Exchange Award),” WISC-TV News3, 03/13/2017. “From Wisconsin to Africa, UW nurse changes classrooms, but not curriculum,” The Badger Herald, 02/10/2017. “2016 Mandela Washington Fellowship, UW collaboration continues through Reciprocal Exchange Award,” Global Health Institute News, 12/22/2016. “‘Tech will take over,’ giving rural Africans access to health care,” Global Health Institute News, 12/5/2016. “Research, rankings and recognition highlight UW-Madison’s summer break,” UW-Madison News, 9/6/2016. “Mandela Washington Fellows learn leadership during visit to UW,” UW-Madison News, 8/12/2016. “Mandela Washington Fellows: The Future Face of Africa, Part 2,” Capital City Hues, 8/18/2016. “Mandela Washington Fellows: The Future Face of Africa,” Capital City Hues, 8/4/2016. “2016 African Association of Madison/African Women’s Association Annual Picnic: Extended Family Gathering,” Capital City Hues, 7/21/2016. If interested in featuring the UW-Madison Mandela Washington Fellowship in your print or online news source, contact Meagan Doll at yali@africa.webhosting.cals.wisc.edu. supported in its implementation by IREX. The University of Wisconsin-Madison is a sub-grantee of IREX and is supporting the U.S.-based academic program of the Fellowship. Videos courtesy of Emily Julka.